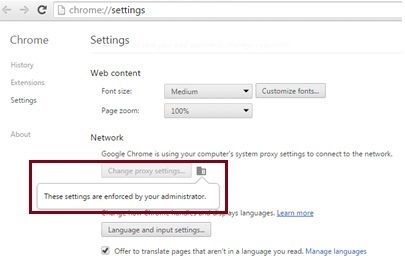 In Chrome browser unable to change the proxy settings and the browsing is not working with Chrome. IE and Firefox browser working perfectly but chrome is not working. Chrome throws error saying unable to connect to the proxy. When I tried to change the proxy settings it says “These settings are enforced by your administrator”. 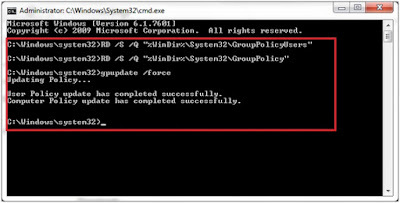 Run following 3 commands in the command prompt and make sure these got successfully executed. 1. 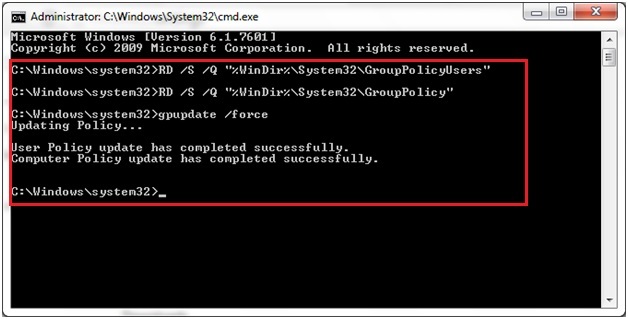 RD /S /Q "%WinDir%\System32\GroupPolicyUsers"
2. RD /S /Q "%WinDir%\System32\GroupPolicy"
You will have to wait for the following message. Now your issue is resolved and you can change the Chrome settings.